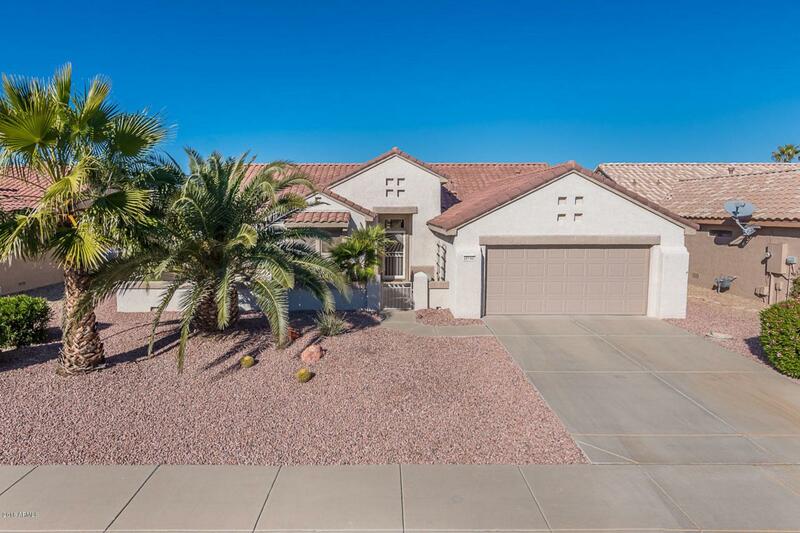 This popular PALO VERDE is located in a quiet area. Easy access to everything. This home has a lovely front courtyard (w/fountain) and a full length patio in the back. Granite counter tops in the kitchen. Newer stainless refrigerator and microwave. Refinished cabinets in the kitchen. Tile and carpet. After market media wall. Access door to front courtyard in kitchen nook. Slider in master. Security system. Soft water loop. Laundry sink. Garage cabinets. Newer AC unit. Newer hot water heater. Furnishings and golf cart for sale ''outside escrow''.